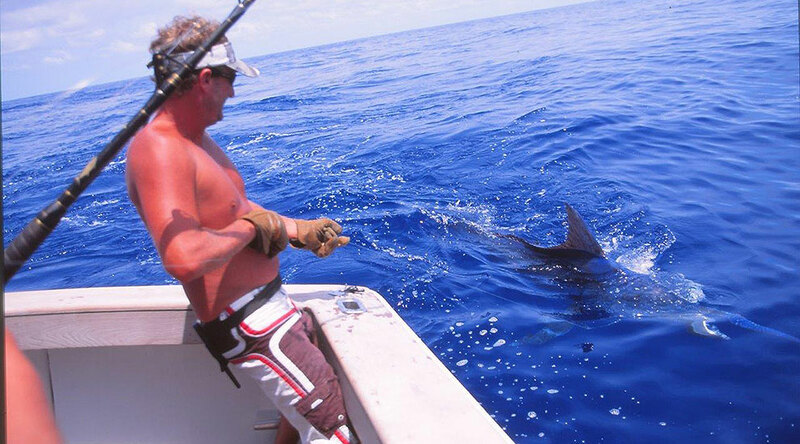 Choosing the right gloves for the job and proper technique are imperative when you grab the leader on a big marlin. 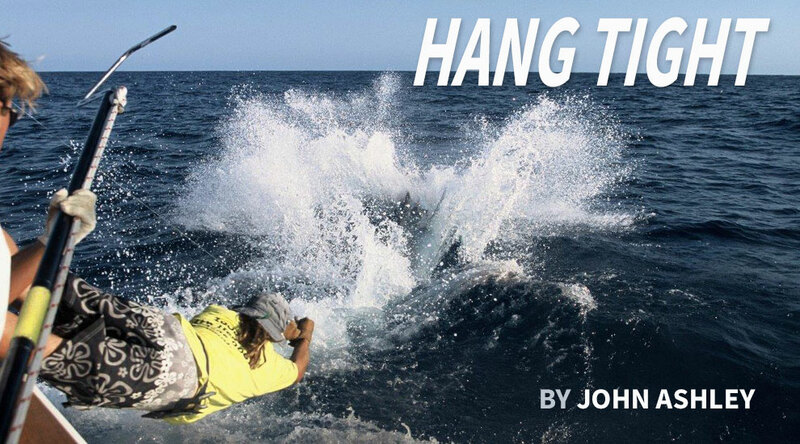 Follow the tips outlined in this article and your feet will never leave the deck. By John Ashley. 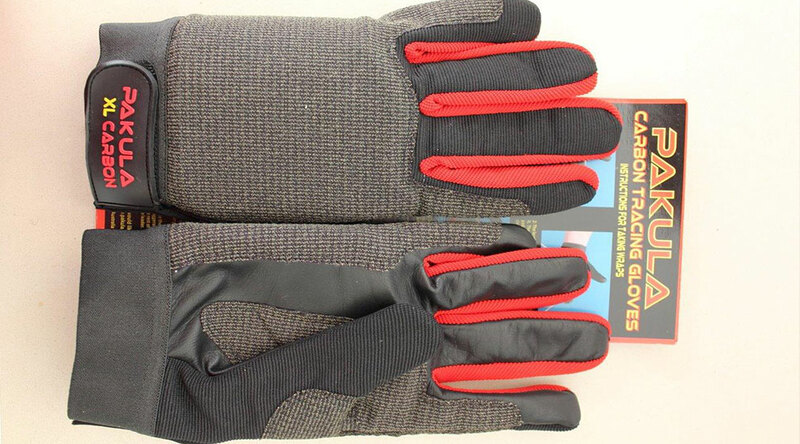 There are many types of gloves used to protect the hands when wiring fish. On the left is the common orange nonslip gloves. These are fine for light leaders and small fish. 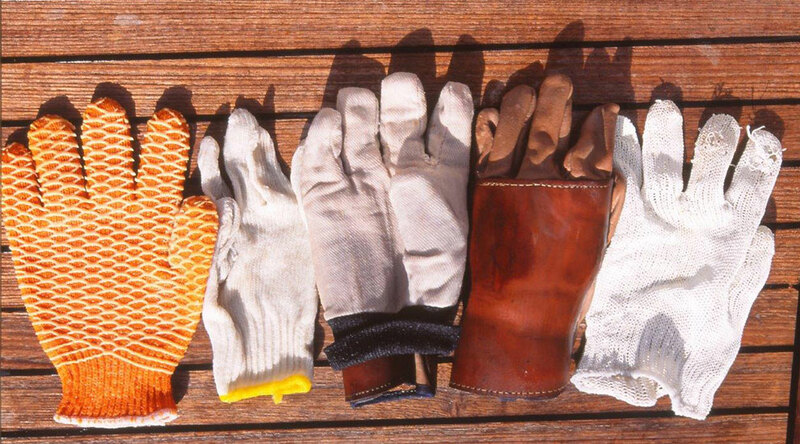 Some deckhands use cotton garden gloves alone or as an outer glove on their heavily backed, leather gloves (as shown in the middle). The glove pictured second from the right is made in Australia for giant black marlin. Note the heavy backing to protect the hand from crushing. 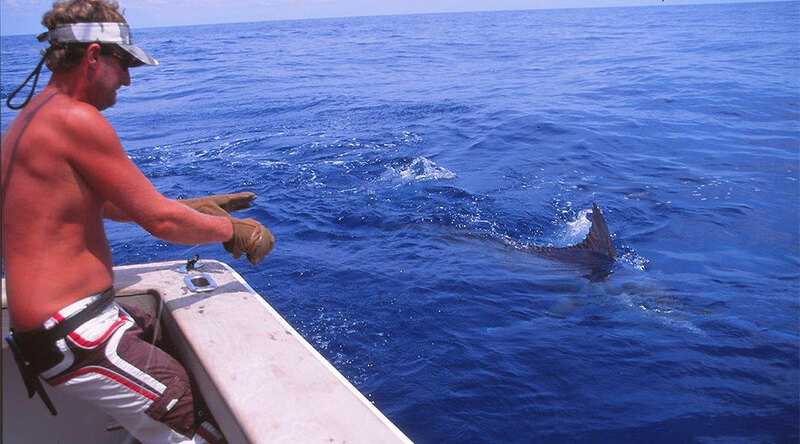 This deckhand uses the rubber impregnated gloves slipped over leather gloves to wire a huge blue marlin in Madeira, Portugal. These gloves work well when pinching up the leader, especially when using monofilament wind-on leaders. Australia's Peter Pakula manufactures a couple of different styles of tracing (Aussie speak for "wiring") gloves and these carbon gloves work well on both wire and monofilament leaders. 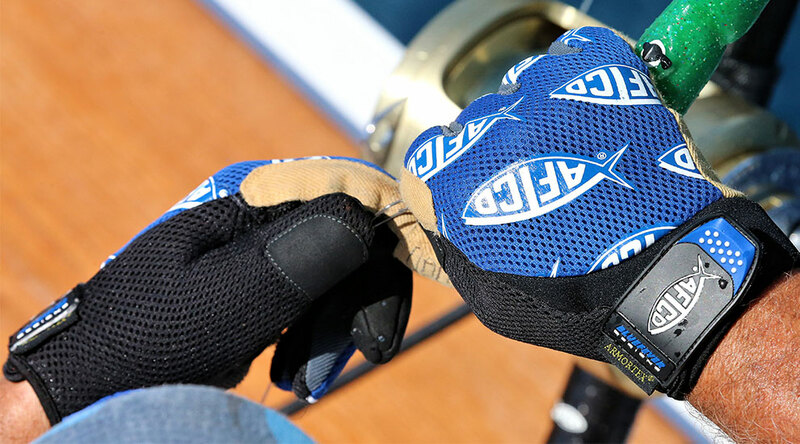 AFTCO also offers a line of fishing gloves, covering all of the bases from light-tackle applications to heavy-duty wiring. If you're looking for a glove for big-game wiring, make sure it offers padding on the top of the hand. This is where all of the pressure rests when taking a wrap. 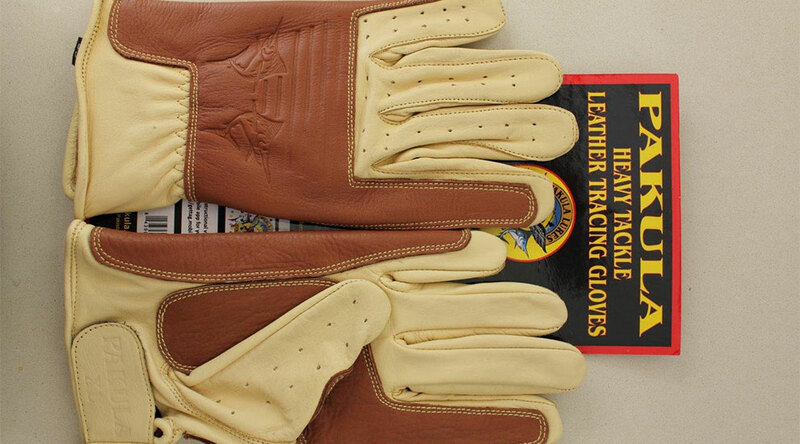 Pakula also offers leather gloves and as you can see they have extra backing. Monofilament can stretch tight around the glove under pressure, so a backing on the glove is essential to protect the wireman's hands. 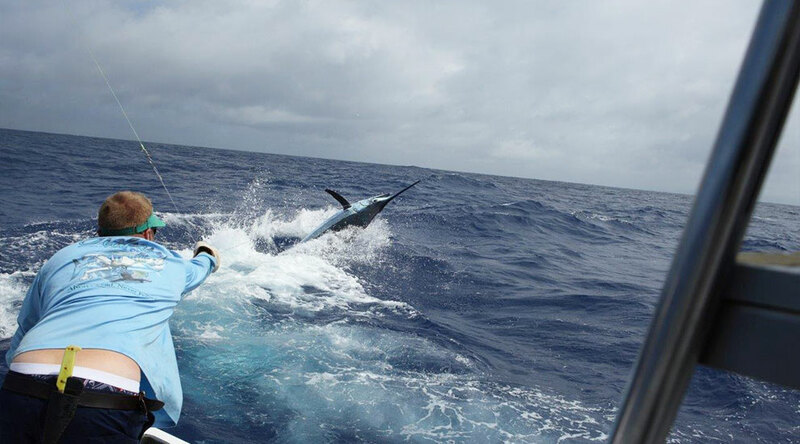 When catching giant black marlin off Cairns, Australia, the deckies rely on heavily backed leather gloves with either cotton or thin suede leather outers. These work well for both heavy monofilament leaders and single-strand wire. Here Capt. 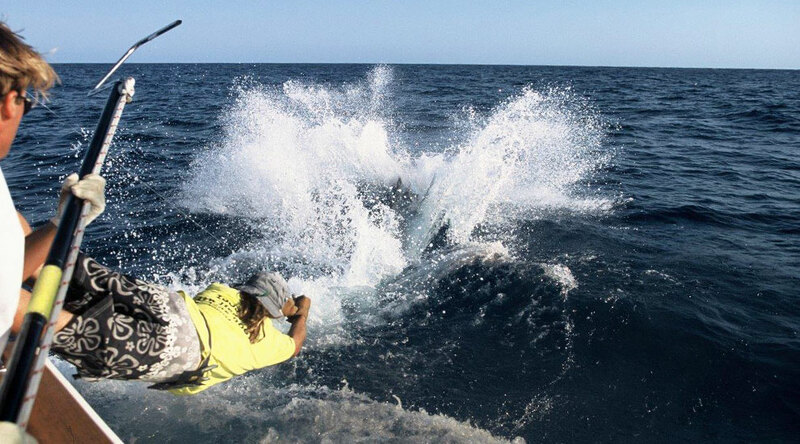 Trent Visscher is about to take a second wrap on a huge black marlin to pull the fish the final few yards to the boat. Visscher now takes a wrap with both hands as he pulls the big marlin into range for the tag shot. You can see the thin leather outers over his heavy gloves that he uses for extra grip. 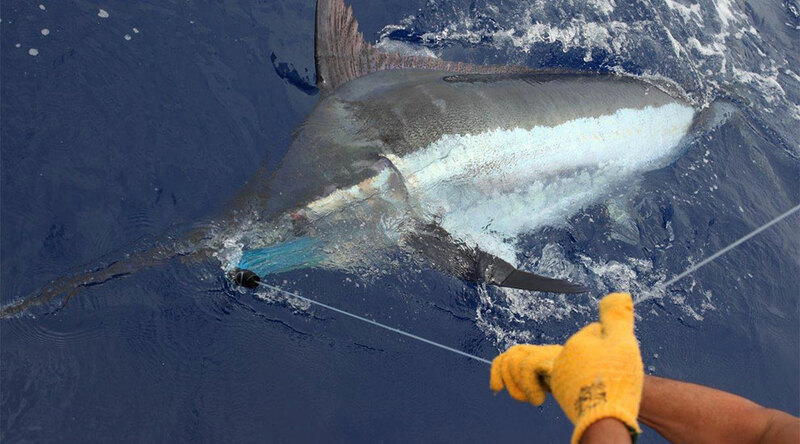 Kiwi deckhand Marty Bates also uses cotton outers over his padded leather gloves to give him extra grip on the heavy monofilament trace connected to this lively 450-pound blue marlin. Good wiremen use their lower body and center of balance as well as their arms and shoulders. Notice how he leans out as the fish runs. The trick is knowing when to dump the leader. Hang on too long and you can break off the fish. 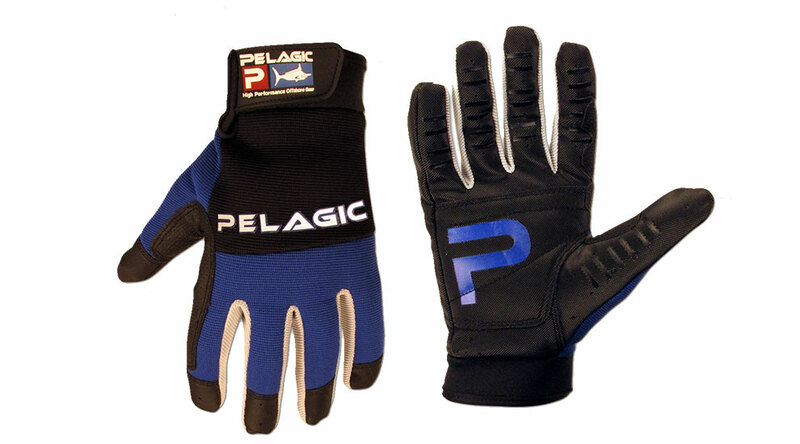 Pelagic End Game Gloves are multi-layered with closed fingertips for maximum protection. Crews use them to protect themselves from line cuts and to get a better grip on the gaff or the bill of a fish when releasing it at the boat. Having added hand protection in the cockpit is always a good thing. Here the wireman holds onto his wrap thanks to heavy leather gloves and bent knees to use his lower-body strength. 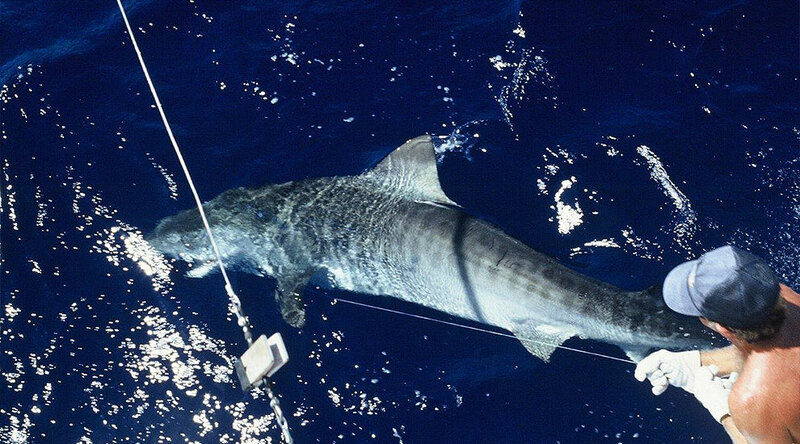 He's about to release this tiger shark which ate a trolled marlin bait rigged on .044 diameter, 400-pound galvanized single-strand wire. The mate takes a bit of punishment when wiring big fish, but it's the most fun part of the job. The worst possible situation for any deckhand is to get wrapped up in the leader with both hands so you can't dump the line. Luckily this deckie pulled his hands out of the bad wrap when he hit the water and the leader went slack. He scrambled back onboard but quit his job that very day. It frightened the hell out of him!